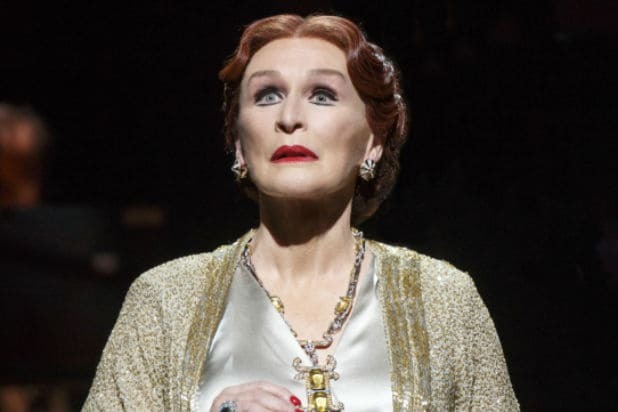 Paramount Pictures is pursuing a big-screen adaptation of Andrew Lloyd Webber’s “Sunset Boulevard” to star Tony winner Glenn Close — who just ended a revival run of the musical on Broadway in June. Close is in advanced talks to play the part she originated on the stage in 1994, and the studio is actively searching for a director and a leading man to star opposite her, two individuals familiar with the project told TheWrap. TV mogul Ryan Murphy was approached to helm, both insiders said, but no deals are in place. Production is eyeing a January start. Representatives for Close and the studio did not immediately respond to requests for comment. A representative for Murphy flatly denied his involvement at this time. The package is deliciously meta: Webber’s musical is based on the iconic 1950 Billy Wilder film starring Gloria Swanson as delusional former star Norma Desmond of silent pictures who lost her luster when the talkies came in. Paramount Pictures plays a large part in the story itself. Desmond takes in a broke and handsome screenwriter to help her punch up her dream project, a sensual telling of Greek tragedy Salome that she is decades-too-old to star in. The film is actively trying to find a leading man to play the screenwriter. There’s also a juicy role of a long-suffering butler who cares for Desmond and feeds her delusion. Close has earned numerous awards for the part since originating the role in 1994, including the Tony for Best Performance by a Leading Actress in a Musical.